Moisture is one of the worst enemies your home can have. It can cause your clothes and furnishings to grow mold, ruin interior surfaces, reduce the insulating value of your insulation, cause squeaky floors and nail popping, cause paint peeling and stains on the walls and ceilings, and can ruin the structural frame of your house through fungus growth and rot. Moisture levels in a home depend on a variety of different factors such as lifestyle (showering, cooking, heating and cooling), number of occupants, leaks and ground/atmospheric moisture. Moisture wants to move from areas of high vapor pressure to areas of low vapor pressure. Vapor pressure is the pressure exerted by water molecules in a mixture of air. When a home is being heated, moisture wants to move outside, and when it is being air-conditioned, moisture wants to move inside. Moisture in homes is usually caused by generally high humidity, plumbing problems or building envelope (roof, window and wall) failures. The most destructive leaks are the slow leaks that go unnoticed for a long time. These can occur under sinks, behind dishwashers and refrigerators, and in bathrooms, or long term exposure to sprinklers. This creates a perfect environment for bacterial growth. While not all mold is toxic, it can lead to musty odors, deterioration of the house, and aggravate people with allergies. A mold inspection can be preventative or needed as a result from a problem, such as a water leak, visual mold findings, or health concerns. A comprehensive investigation includes a complete visual analysis of the premises, moisture testing with a digital moisture meter, leak detection, and sample collection for laboratory analysis. Our sampling includes Indoor Air Quality (IAQ) samples and surface samples in our basic mold inspection package. We offer many different types of sampling and are able to adjust to the needs of our clients. Our package price includes all the laboratory fees for the samples taken, a full report which includes the visual inspector’s notes/recommendations and an estimate to remediate any areas that are found to have fungal contamination. The method of choice for assessing potential exposures to airborne molds and mycotoxins in indoor environments involves the collection and identification of fungal propagules. Currently, there are numerous sampling methods available to measure fungal concentrations in the environment. Source sampling, which includes methods such as swab, tape, bulk, and dust, is commonly used to identify indoor fungi. Air sampling is one of the most common methods used to assess fungal levels in indoor environments. Many studies have related human health effects, such as increases in allergic and asthmatic respiratory symptoms, to airborne fungal spores. As the health effects of fungal exposure are mainly respiratory, air sampling is believed to be adequate to represent the exposure. 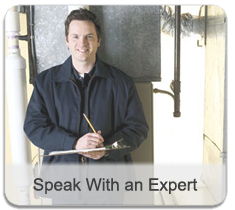 An important part of the mold inspection is testing the air quality of any areas of concern around a property. Air testing is performed using specifically calibrated air sampling equipment. The samples taken are sent to a laboratory to be analyzed to determine the presence of mold, allergens, and other particulates that may be present in the air. A variety of substances can be tested for through air testing. Results of a mold inspection, including the testing results from the laboratory, are combined into an property mold inspection report for the client. This report contains information regarding types of molds found, if any, the levels found, explanations of the type of mold and if it could pose a health threat, a visual mold and water damage assessment, and any notable results from equipment readings or other inspection processes. If concerning mold or water damage is found, it will be noted in the report and an estimate to remove those contaminants will be sent to the client. Clean-Air performs expert witness and litigation support for individuals involved in legal situations involving mold, water damage, and other issues. To read more about this service, click here. Clean-Air performs testing for a variety of other substances. To read more about other substances we can test for, click here.